Imagine being detained in a foreign country: the police approach you, using a language you can not understand, and hold you for questioning. You aren’t able to protect your rights, in fact you might not even know what rights you have. After attempting to answer the police questions, you get locked in jail; maybe for a night or maybe for a week, you’ve no idea how long you will be there. All throughout the process, the legal advocates who are assigned to your case do not seem capable or knowledgable about what your communication needs are. Nobody can explain what is happening, and it feels like nobody is really trying. For people who are deaf, this frightening scenario can play out right in their own backyard, right here in the United States. Cultural misunderstandings and language barriers make the American justice system a dangerous place for those who rely on ASL as their primary form of communication. 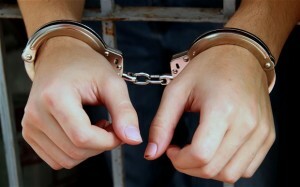 Deaf and Deaf-Blind people who are involved with the justice system, whether it is at a crime scene, court house, law office, or prison, suffer great injustice when they are not provided the appropriate accommodations. In scenarios where a deaf person who uses ASL is involved with the law, a highly qualified Legal Interpreter will often be the best accommodation. 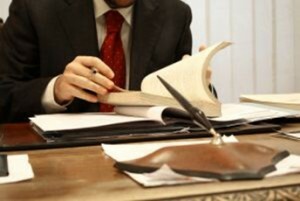 A Legal Interpreter’s work is certainly not limited to courtroom settings. A Qualified Legal Interpreter is the appropriate accommodation for any interaction between attorneys and deaf clients, such as consultations. Qualified Legal Interpreters should be present during any client depositions, witness interviews, and administrative or legislative hearings. They should also be utilized for court-ordered treatment and education programs, and for meetings between deaf individuals and representatives of the court. Qualified Legal Interpreters possess a specific skill set which enables them to facilitate clear communication and deaf participation in the justice system. Deaf people have a legal right to a qualified interpreter, and the importance of their expertise can not be emphasized enough. When one wrong word or misinterpretation can have major consequences on a person’s life, accurate communication is critical. A qualified Legal Interpreter will be highly fluent in both spoken language and ASL, or any other communication modalities used by the deaf consumer. A great Legal Interpreter recognizes when an assignment is beyond his or her interpreting abilities, and will help connect the consumer with a more appropriate service provider, for example a Certified Deaf Interpreter (CDI) whose is specially trained to work with Deaf individuals who are not fluent in ASL. With a person’s rights are on the line, there is no room for doubt. The legal system is full of specific terminology. Most people don’t use words like “arraignment” or “grand jury charges” in casual conversation. Qualified Legal Interpreters understand what these complicated words and concepts mean, and are able to accurately convey them to deaf consumers. Working in the legal system provides a certain set of challenges. A qualified Legal Interpreter will ensure the deaf individual has full access to safe communication, and will be able to accurately interpret concepts along the way. To provide this level of access, Legal Interpreters must have a thorough knowledge of the justice system and legal terminology. Their vocabulary must be current and representative of modern legal practice. 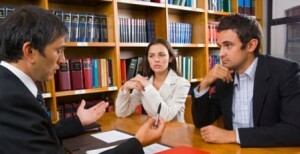 Legal Interpreters are not attorneys, but they do need to understand standard legal procedures. From Miranda Rights to legal consultations, a qualified interpreter will know how the process works and how to accurately interpret these complex concepts. 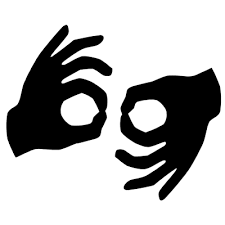 They can convey how certain actions, for example mediation, can impact the outcome or deaf individual’s rights. Qualified Legal Interpreters know the roles of each individual — police, public defender, district attorney, judge, prison guard, etc– and will interact with these people accordingly. 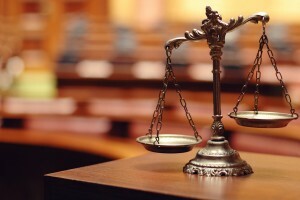 The justice system has it’s own professional culture, which includes certain customs and expectations, such as standing when a judge enters the room. The role of a qualified Legal Interpreter is to help bridge the gap between the many facets of “Law Culture” and Deaf Culture. They will be able to negotiate cultural differences which might have negative consequences for the deaf consumer. Ultimately, they will help educate both deaf and hearing parties about their role, leading to more accurate communication. When a person’s rights or freedoms are on the line, every bit of information matters. 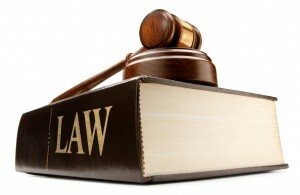 The role of Legal Interpreter requires a very detail-oriented personality. A qualified interpreter will get as much background on the situation as possible for context and request advance materials so they are prepared. For example, when assisting an attorney in gathering discovery, the interpreter will ask for the discovery request papers ahead of time and then ask the attorney for clarification if they feel certain questions might be confusing to the deaf individual. Legal Interpreters should take notes on specialized names and places used during the assignment which can be used to reference. Clear and accurate communication is critical to the justice process, yet there are states in this country which require no licensure for interpreters. This means there may be no minimum standards or screening. This can leave deaf consumers in a situation where they are the only ones who know an interpreter’s skill level and experience are not a good fit. To address this issue, the Registry of Interpreters for the Deaf (RID) has developed the Specialist Certificate: Legal (SC:L) credentials that indicate minimum levels of competency to interpret in legal settings. Interpreters who hold a SC:L have passed both a knowledge and performance exam which tests their ability to provide services in a legal setting. They have also logged hundreds of hours of training and field experience. To ensure equal access is provided and the deaf individual’s rights are protected, a qualified Legal Interpreter will have an SC:L.
Because the law and justice process is constantly evolving, an qualified Legal Interpreter will engage in continuous professional development. An interpreter can not ethically serve deaf consumers if their skills are out of date, or if their knowledge is no longer current. A qualified Legal Interpreter will stay abreast of relevant cases, terminology, and common practices to provide the best level of service. To stay up to date, Legal Interpreters should frequently engage with others in the fields of both law and interpreting. Legal Interpreting is a complex and mentally fatiguing job which typically requires a team of interpreters. The interpreters work together to relieve each other, and also to monitor each other’s work for accuracy. A great Legal Interpreter always works to support the team, ensuring accuracy and clarity in all communications. Sometimes deaf consumers are not fluent ASL users, prefer another sign language modality, or have not received a formal education, therefore utilize an idiosyncratic system of gestures and home signs. Years of experience has shown that native deaf users of ASL are the most effective people to bridge this communication gap. A qualified Legal Interpreter will advocate for the use of CDIs, and understand the important role a CDI plays when communicating with native signers. Legal matters can be highly sensitive. Qualified Legal Interpreters must be well prepared and have a strong sense of personal boundaries to help identify potential conflicts of interest. Personal bias, involvement with individuals in a case, or previous knowledge of a case are a few of the many reasons a qualified Legal Interpreter might turn down an assignment. Interpreting within the justice system might also involve interpreters in legal matters, for example an interpreter who works with police might be called as a witness to defend their work. Qualified Legal Interpreters uphold the National Association of Judiciary Interpreters and Translators (NAJIT) Code of Conduct, provide ethical service at all times, and know how to protect themselves and their work. While all interpreters should be punctual, it is critical that interpreters who are called by police arrive as soon as possible to the scene. Not having communication access to police right away can have serious consequences for the deaf individual. Sadly, many deaf individuals have been coerced into giving false statements to police, or they were provided an interpreter who did not accurately convey their statement. Getting a qualified Legal Interpreter to the scene is absolutely necessary for equal access. Often times, people working within the legal system have no idea what the legal rights of deaf people are or how to ensure those rights are upheld. 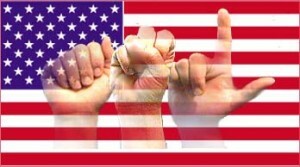 A qualified Legal Interpreter is willing to work with police, attorneys, judges, and any other employee of the justice system to protect the rights of deaf Americans. 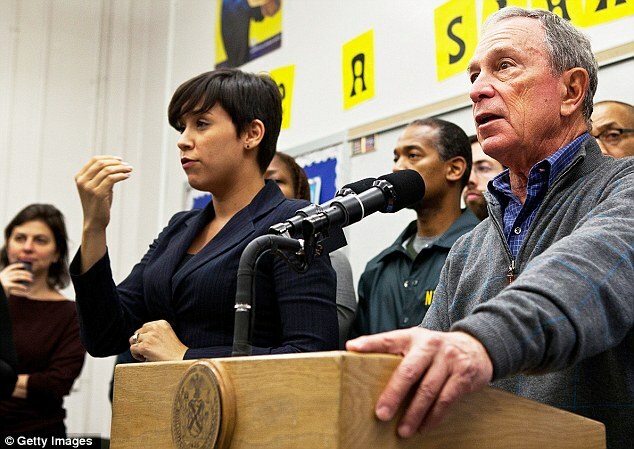 They will provide basic cultural education, advocate for the use of CDIs or auxiliary communication tools, and encourage those within the justice system to learn how to work with people who are deaf and interpreters more effectively. In our current society, where we see growing tension between civilians and the justice system, there is a critical need for respectful communication. People are getting lost in the legal loopholes, wrongfully incarcerated or, in some cases, losing their lives during police interactions. The lack of cultural competency within out justice system can be remedied, but only if those entities actively work with the civilian population to understand and appreciate diversity. LC Interpreting Service understands the value of highly qualified Legal Interpreters and strives to provide top quality service for deaf consumers in the greater New York City area. LCIS makes it simple to secure qualified legal interpreters with the skills and experience to ensure deaf individuals have full access to the justice system.